Free freezes, which will be available next Friday, were required as part of broader financial legislation signed in May by President Trump. Free security freezes were already available in some states and in certain situations, but the federal law requires that they be made available nationally. Two of the three major credit reporting bureaus, Equifax and TransUnion, have already abandoned the fees. The third, Experian, said it would begin offering free credit freezes next Friday. To be effective, freezes must be placed at all three bureaus. The Federal Trade Commission says that when the law takes effect, its identity theft website will provide links to each bureau’s freeze website. A security freeze makes it harder for criminals to use stolen information to open fraudulent new accounts, or borrow money, in your name. Credit bureaus house records of your accounts and payment history, which card companies and lenders use to decide whether you are likely to pay your bills. If you freeze your file, the bureaus will not provide information to lenders unless you “thaw” the freeze first, using a special personal identification number. Free security freezes are becoming available more than a year after a huge data breach was discovered at Equifax. The breach compromised the personal information, including Social Security numbers, birth dates and other sensitive details, of more than 145 million people — nearly half the population of the United States. Consumers suffer from “optimism bias,” the researchers found. They realized that the breach created risk, but did not think anything would happen to them personally. “People tend to underestimate their own risk,” said Florian Schaub, an assistant professor at the school and one of the study’s authors. People interviewed also cited the cost of freezes as a barrier. It can cost as much as $10 per bureau to place a freeze, and a similar fee is charged to thaw it temporarily when you want to apply for credit. Brett Merfish, a lawyer in Austin, Tex., said she froze her credit at all three bureaus several years ago, after her personal information was used to open “a steady flow” of fraudulent credit card accounts. The freeze process was “tedious,” she recalled, but ultimately effective because she no longer has problems with fake accounts. “It’s worth it to do it,” she said. One credit bureau, TransUnion, introduced a smartphone app, myTransUnion, this month that consumers can use to more easily freeze and thaw their credit. The app is available for both Apple and Android phones. Mr. Stephens, of the Privacy Rights Clearinghouse, said he had not seen the app, but cautioned consumers to tread carefully, in case it is used to market other, fee-based products and services. The credit bureaus also offer something called a credit “lock,” which they promote as a more convenient way to protect your information. But some offerings carry fees, and consumer advocates prefer freezes because the rules are set by law, rather than by the credit bureaus. One other less-protective option is a fraud alert, which requires credit bureaus to contact you to verify your identity when a company requests your credit file. Under the new law, initial fraud alerts must last for one year once established. Fraud alerts are free, and, unlike the freezes, an alert placed at one bureau is automatically placed at all three. The website for the utilities exchange says its database is “housed and managed” by Equifax. But the exchange is a “distinct” entity that requires its own freeze, said Craig Caesar, outside counsel to the exchange. “A separate request to N.C.T.U.E. is required because it is a separate database,” Mr. Caesar said in an email. There is no cost for a freeze, he said. The new law also requires credit bureaus to allow parents to create and freeze credit files for their children under 16, to prevent their identities from being misused. The Federal Trade Commission offers information on what to do. Freezes will not protect you from other types of fraud, like someone using the number of a credit card you already have, or impersonating you online to claim your Social Security benefits. To help prevent those types of theft, Mr. Litt recommends checking your credit card statements regularly for suspicious charges, and setting up and monitoring an online Social Security account, to prevent criminals from opening one first and diverting your benefit checks. A PIRG report suggests other helpful steps as well. Credit companies are now going through extreme lengths to get what’s owed to them. 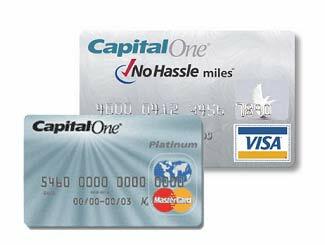 If you’re a Capital One credit card holder, you may want to take a look at your recent bill and read the new card holder agreements that were sent along with it. This may lessen the shock you receive when you answer your doorbell and it’s a Capital One representative looking to collect on your bill. Or can you imagine the embarrassment when a Capital One representative shows up at your job? But they won’t stop there. Not only will they visit you during your evening meal, but they will also take measures to “spoof” their phone number when they call you. When a company spoofs their phone number it shows up as a totally different number on your caller id. Tricky, tricksters. But is it legal? If Capital One is spoofing their number for the purpose of collecting a debt, it pretty much isn’t. According to the Federal Fair Debt Collection Practices Act, a debt collector may not use any false, deceptive, or misleading representation or means in connection with the collection of any debt or to obtain information concerning a consumer. LA Times reporter, tracked down (ha) a representative from the credit card company to get to the bottom of these new updates. But of course, deny, deny, deny.